The Jimmy Neutron Revival Project actually began in 2004 with a then 21-year-old fan who, through information from trusted sources, had received word that Jimmy Neutron might not be renewed for a fourth season after the current third season. It took nearly 7 years to get over 1,500 signatures on the petition online website, however most of the signatures were duplicates, therefore the exact count is not accurate. After 2006 when Nickelodeon had finally aired all of season 3, no future plans were discussed until 2008 when a spinoff, Planet Sheen, was greenlit for a full 26 episodes. This show has almost 2,000 fans on Facebook, but unfortunately did not receive the kinds of ratings Jimmy Neutron did. At this time there are a few unaired episodes, but it will not be returning for a second season due to low ratings and production costs. 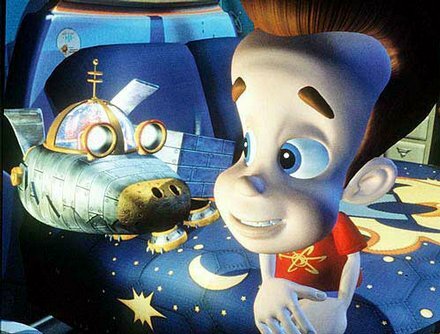 In 2011 and 2012, something unexpected happened that brought a now 29-year-old fan out of retirement - an unprecedented amount of new fanfiction on the popular fanfiction.net website along with an explosion of new fans on tumblr, I Dream of Jimmy (a Jimmy Neutron fansite), and even the official Jimmy Neutron message board on Nick.com. In light of these recent events, this individual, a person who cares about the show and our youth's future more than anyone else, decided to take another step up to the plate only on a much larger scale. In April 2011, a petition project turned into the birth of what is now known as the Jimmy Neutron Revival Project. Right now, we have almost 700 fans on our Facebook fan page. We would like to turn this into thousands of followers and "likes". The more supporters we have, the better likelihood there is of getting Nickelodeon's attention about our cause. In addition, we also have two petitions on change.org and care2. We need at least 20,000 signatures or more to get Nickelodeon and Viacom's attention. A few hundred or a few thousand will not be enough. With educational programs like Jimmy Neutron rapidly disappearing from the airwaves, the future of America's youth hangs in the balance. We need quality programming to prepare children, teens, and young adults for the real world and to inspire people of all ages to reach for their dreams. This is a cause we feel very passionate about. We already have several animators and even one of the directors of the Jimmy Neutron movie and TV series on our Facebook fan page as "likers" who are supporting this effort. We still have a lot of work left to do to get this project off the ground and noticed by Nickelodeon and Viacom. Other fans have taken notice of our efforts and are branching off to attempt their own efforts in bringing back the show.